Mersey in Canterbury on 25 September 1862. The Hadfield Homestead originally stood on this site. This plaque was erected in 1998 by Hadfield's great-grandsons, Errol, Anthony, Martin and Roger Hadfield'. 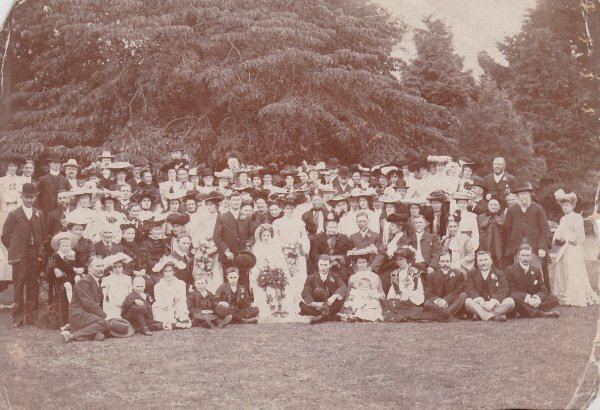 Historical images shown include a 1888 image of Clara & Florence Hadfield and the 1903 wedding of Leonard Norton Hadfield and Amy McConkey. 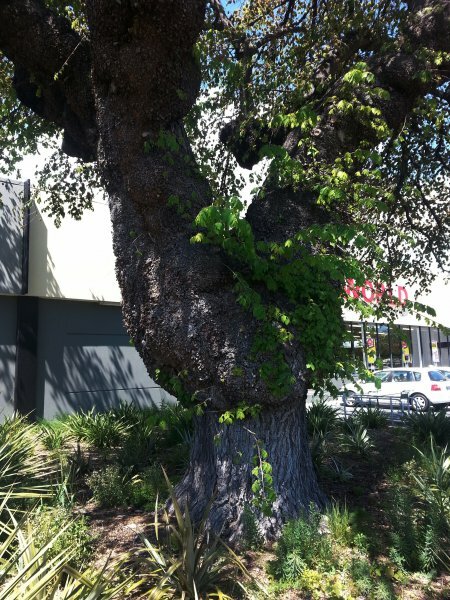 The elm can clearly be seen in the background. 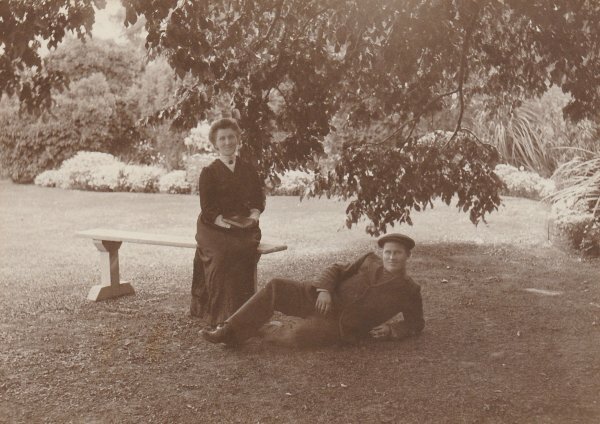 The 1916 image shows Elizabeth Ellen Hadfield and her eldest son Leonard Norton Hadfield under the tree. At the time Len was age 39, and Elizabeth age 62. 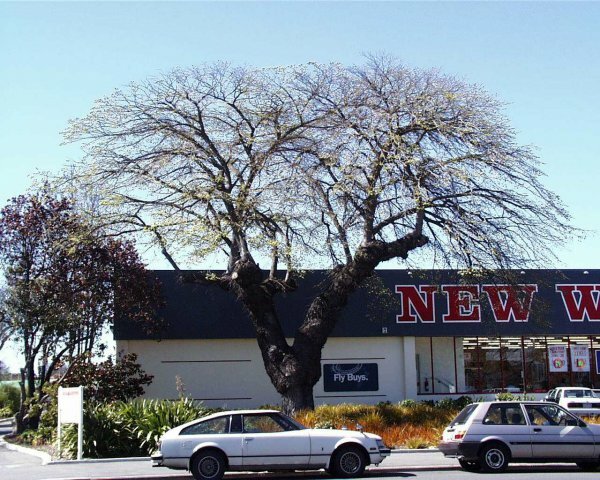 The photo was taken shortly before the sale of the property to the NZ Government Social Welfare Department. The property had been in the family for over 40 years, and, what was there, they put there, - Elizabeth shifted to a small house they had built next door at 304 Stanmore Rd. The house still stands, she lived there until her passing in 1940 at age 88 (Errol Hadfield, 2017). 08 Apr 1994 Fielding-Cotterell, W.